A screening followed by discussion with award-winning independent documentary filmmaker Iffat Fatima on her most recent film Khoon Diy Baarav (Blood Leaves its Trail), a documentary that explores issues of violence and memory in Kashmir. The film Khoon Diy Baarav enters the vexed political scenario in Kashmir through the lives of families of the victims of enforced disappearances. The film is a non-sequential account of personal narratives and reminiscences ruptured by violence, undermined by erasure and over-ridden by official documents that challenge truth. Made over nine years it explores memory as a mode of resistance, constantly confronting and morphing- from the personal to political, individual to collective. It looks at the ways in which those affected by violence have no choice but to remember. 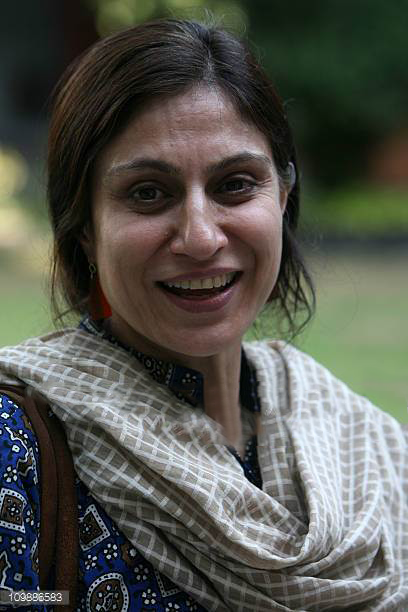 Iffat Fatima is an independent documentary filmmaker and researcher from Kashmir, based in Delhi. Since 2006 she is working in Kashmir on the issue of enforced disappearances in collaboration with the Association Of Parents Of Disappeared Persons (APDP), a collective of the family members of the victims of enforced disappearances in Kashmir campaigning for information on the whereabouts of their disappeared kin. In 2011, she made a short film Where Have You Hidden My New Crescent Moon on enforced disappearances. Her most recent film Khoon Diy Baarav (Blood Leaves its Trail) explores issues of violence and memory in Kashmir. She very recently did the audio visual design for an exhibition Gold Dust Of Begum Sultans (19 April -10th May 2016) at The Indira Gandhi National Centre for The Arts , New Delhi. In 2015 she co-edited a compendium Bread Beauty Revolution, Khwaja Ahmad Abbas (1914-1987). In 2004, she completed a Fellowship, Recasting Reconciliation through Culture and the Arts, at the Brandeis University, Boston, USA. In 2001, she was awarded the Asia Fellowship for her work in Sri Lanka, Inter-communal Relations and Education: The Sri Lankan Experience. Her films include, Lanka- the other side of war and peace, on the history of overlapping conflicts in Sri Lanka; The Kesar Saga, on storytelling in Ladakh; In the Realm of the Visual, on one of Indias most prolific and versatile artist and designer, Dashrath Patel; Boojh Sakey to Boojh, on the contemporary understanding of the thirteenth-century Sufi poet and scholar Amir Khusro. Her video installation, Ethnography of a European city: Conversations in Salzburg, questions some of the assumptions in the east vs. west polarity/ dichotomy /disparity.